This Gizmo provides you with two challenges. 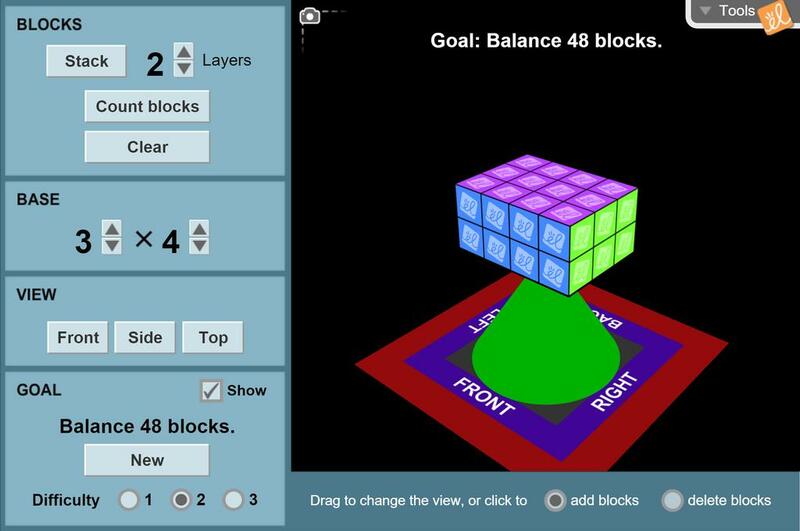 First, use blocks to build a figure with a given volume. Then, try to balance the blocks on a platform that sits on the tip of a cone. The dimensions of the platform can be adjusted, and blocks can be added or deleted by clicking on the model. Find the volume of a rectangular prism by counting how many unit blocks it contains. Find the volume of a rectangular prism by multiplying length × width × height. Find the volume of irregular solids that are composed of unit blocks. Balance rectangular prisms and irregular solids on a point. Ejercicio Práctico del Alumno en español. Awesome way to lead into irregular figures. This is one of the new Gizmos that you might like. Just used this Gizmo with my 6th grade science class. They really enjoyed it. Students loved using this to learn about Volume.